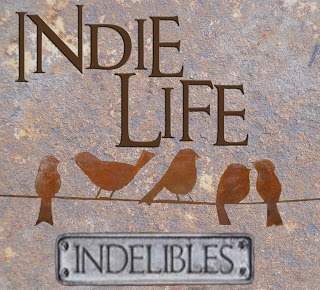 This entry was posted in Uncategorized and tagged Critique Partner, Indelibles, Indie Life by J.J.Bonds. Bookmark the permalink. Lol. Most of what I know I’ve learned from other indies, so I’m glad I can pay it forward on occassion! Thanks for bringing SP Seek to our attention. Sounds like it could be quite useful. When you find the right critique partner, share with us how you did it. I’m in the same boat. Tried a writing group, but it wasn’t what I was looking for. There’s something to be gained by working one on one that you just don’t get I a group. It is a lot like dating, just don’t hesitate to let the wrong ones go. Good luck. I’d be happy to help myself. Yeah, it is a lot like dating. Just less predictable. Although I’ve felt the need for a critique partner I’ve never moved in that direction. I couldn’t expect someone else to critique as much as I write, and I simply do not have the time to return the favor. So better not to get started. What a great sight. Someone else posting in Indie Life mentioned needing critique partners. Hopefully, she’ll stumble upon your post! I really, really need crit partners, but I’m not going to move in that direction unless and until I feel I can give as good as I get. Right now I just have too much going on to give a crit partner my whole attention. CPing is a hard but rewarding part of being an author. I’ve found it to be tremendously difficult to find CPs you click with, but when you do it’s magic. The only thing that’s taught me more about writing than CPing is reading. The best thing I’ve found is starting of trading a chapter to see each others styles/personalities. If it doesn’t work for either person, being able to walk away. And if you’d like, I’d be willing to swap. Just let me know if you’re interested. Either way, good luck finding someone(s)!